Thank you to friends, fans and family who came out to the benefit for the Society for the Prevention of Teen Suicide and the American Foundation for Suicide Prevention on April 18th. Scott Fritz, co-founder of SPTS drove 100 miles to be with us. 100% of donated single, "Forever Young," assists these two foundations. Loving family and friends rescued Ruth after her first NYC Marathon as part of the Sanctuary for Families team; she performed at Rockwood Music Hall the night before, raising over $15,000 between the run and the show for Sanctuary for Families! At Plyrz Studio recording with multi-grammy winning producer, Jim Scott. Here with the crew: Kevin Dean, Savannah JoLack, Ben Holiday, Dennis Edwards, Ruth (with rock baby Hope), Joel Gottschalk, Jim Scott and not pictured (Neal Casal). Ruth opening the Scleroderma Benefit in Oceanside, CA with Michael "Leroy" Bram, Raining Jane & Jason Mraz. 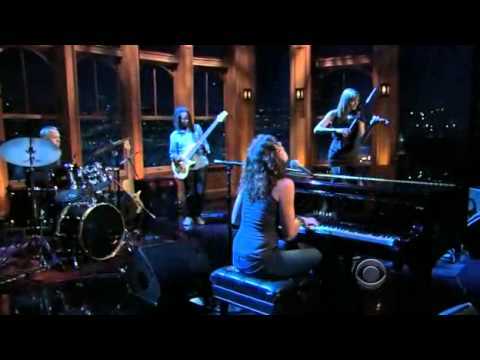 Ruth Gerson performs "This Can't Be My Life," on "The Late, Late Show with Craig Ferguson," with Savannah Jo Lack, Dennis Edward and Rafe Bradford. Ruth Gerson's seventh album Deceived produced by grammy award winning producer Rick Chertoff (Cyndi Lauper, Joan Osborne) hailed "A Triumph!' by rock critics Greil Marcus and Ann Powers.